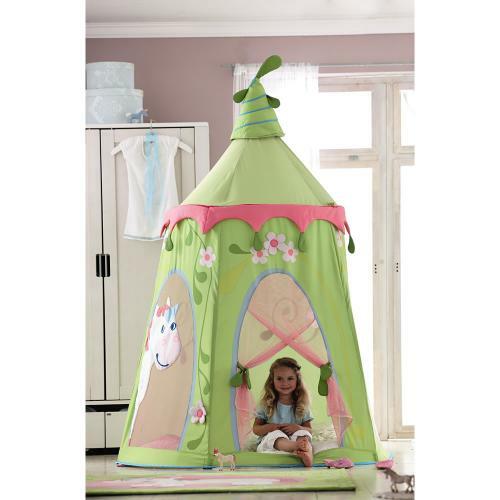 Full Description Fairy Garden Play Tent - Standing at 75 inches tall, this Fairy Garden Play Tent is roomy enough for all their little friends! 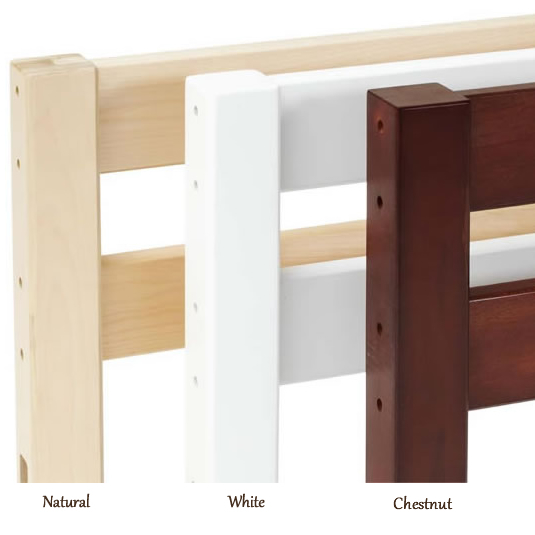 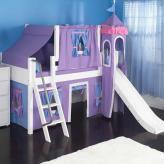 What a perfect way to spark imaginative play. 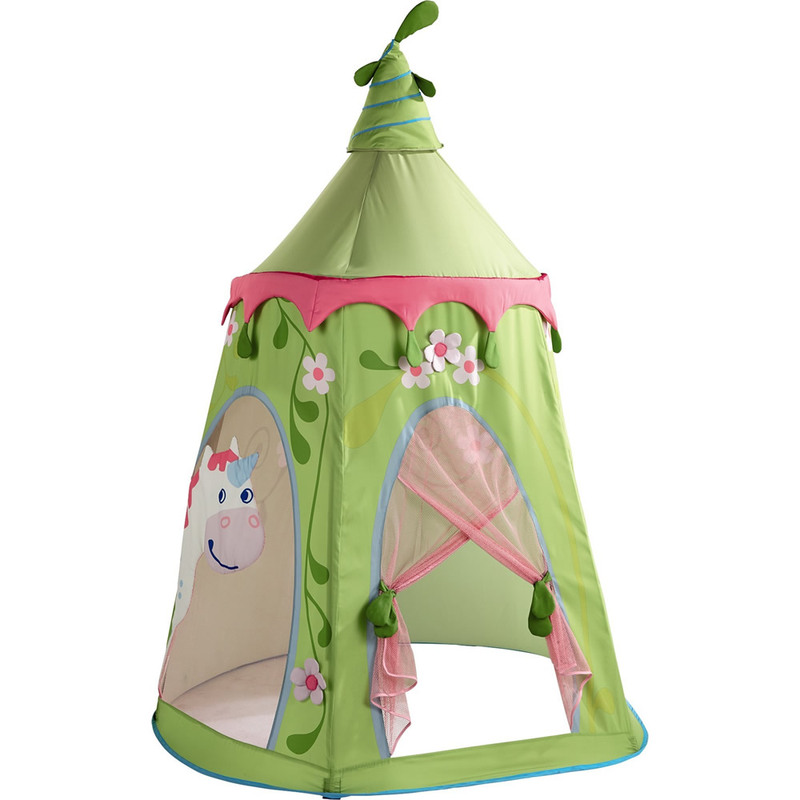 Pay close attention to the detail on this beautiful tent. 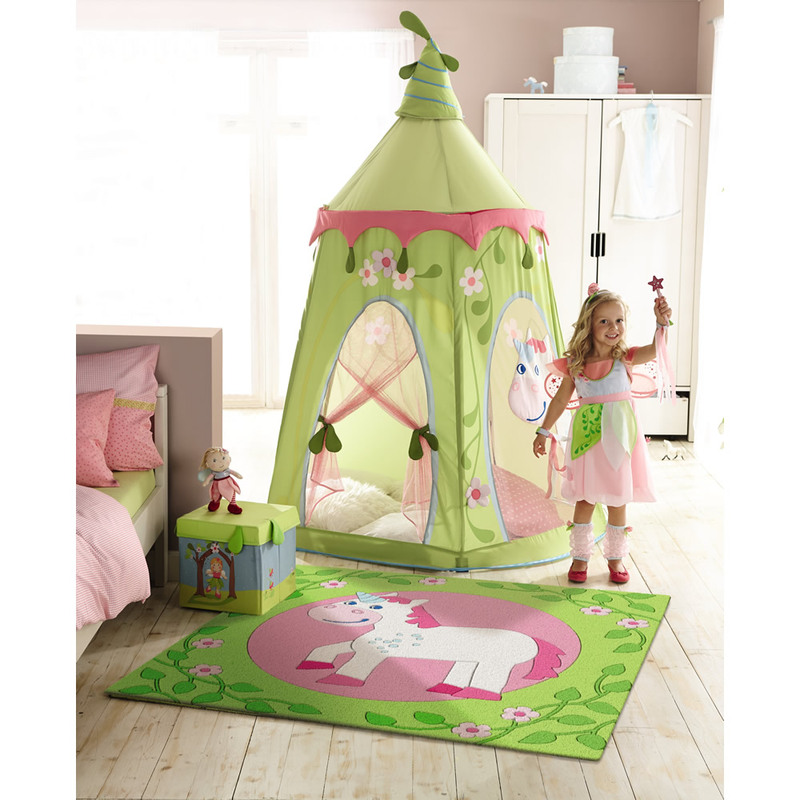 The cute unicorn design, as well as many other pieces on this Fairy Garden Play Tent are sewn on, not printed.